The screw of choice for the British Woodworking magazine. Screw-Tite Pozi Countersunk Screw 4.5 x 40mm (200 Pack) is rated 4.8 out of 5 by 46. Rated 4 out of 5 by Cbts2003 from Good screws, but only single use. I use these screws in all sorts of applications. In timber they have an smaller thread at this tip which means doesn't really need a pilot hole, but I found best result using a short pilot/countersink type bit. Negative I've found is they don't like being unscrewed, the heads strip easily in reverse and driving them a second time is difficult. Having said that they are cheap enough to throw away, not had any strip when driving so maybe its how they are made?? Rated 4 out of 5 by RN Retired from It's a screw ! But it goes well into Fischer wall plugs to secure secondary glazing frame to plaster / cememnt window reveal. Rated 5 out of 5 by jimmymole from a screw !! cannot fault value for money and does what it is supposed to do. 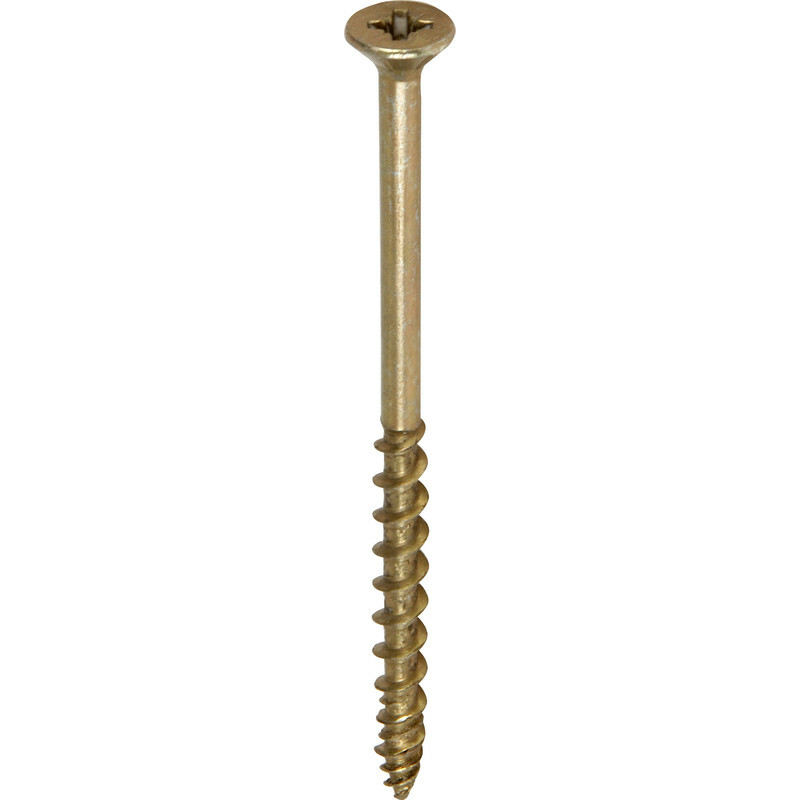 Rated 4 out of 5 by Br04 from Effective screws Used to repair a creaky stairwell, long enough to penetrate deeply into the stair risers through the tread. Easy to control the direction and speed of screwing. Rated 4 out of 5 by Alex the Brush from They do the job Good on price and do the job. Tough and work well with portable drill. Rated 5 out of 5 by Dave 9 from Great grip Used plenty of screws and these have a fantastic grip and pull. Rated 5 out of 5 by Madmikebraw2018 from What you need in a screw They bite easy, pull in easy and tighten easy. Get a screwdriver bit that fits and they hardly jump too. Rated 5 out of 5 by None but from Great Good screws for flooring.